May your pumpkin patches be found the most sincere, and may TV and beer be plentiful enough to keep you from going insane. My good buddy Hannah has been spending the month of October celebrating all things horror on her blog, Musings of a Palindrome (so named because her name is a palindrome, not because she thinks she can see Russia from her house). As part of that celebration, she hosted a short story contest (less than 1,000 words) in which she asked for stories in the horror/suspense genre designed to freak her out. Go here to check out my story. I'm totally surprised, as this is probably the first horror story I've ever written (I don't read a lot of horror/suspense, and thus I get very few story ideas in that vein). I was just trying to freak Hannah out, so I'm glad I accomplished that. And now the new Stephen King book (amongst other goodies) is winging its way to me! Thanks Hannah! November is almost upon us, which means it's time once again for the National Novel Writing Month (NaNoWriMo, or "NaNo", to the kids) challenge: write a 50,000 word novel in thirty days. Last year, I finished a novel, but it came up short at around 48,000 words. I'll be trying again this year, with a more densely plotted novel (read about it here) that I hope will put me in the winner's circle (the prize? Pride...). If you'll similarly be handing over your November days and nights to the crafting of a novel, be sure to buddy me on NaNo's page (I'm Teebore, natch). Blog-wise, I'm not planning on disappearing entirely, and plan to keep at least the "Last Week in TV" and "X-amination" posts on their regular schedules, but don't be surprised if there's one less post each week (most likely the Friday post) or more phoned-in posts (like this one) on occasion. Once November has come and gone, the holiday season will be upon us, and I've got something in mind for the blog that I hope will be fun. Stay tuned for more on that! The X-Men fight the Sentinels. 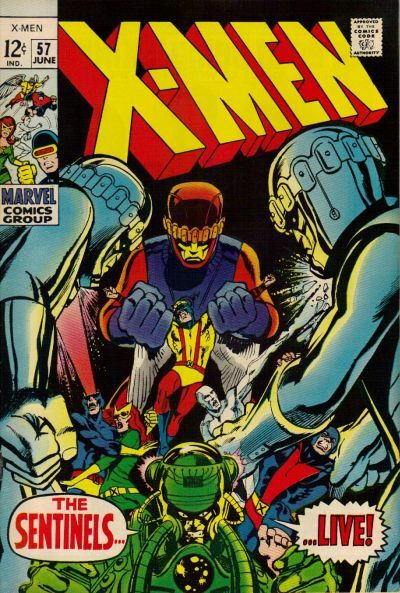 Beast and Iceman are attacked by a Sentinel at Cyclops' apartment. Beast retrieves Cyclops' portable television transmitter and Iceman sacrifices himself to allow Beast to escape. Beast alerts Cyclops, Marvel Girl and Angel to the return of the Sentinels. Angel flies ahead while Cyclops and Marvel Girl board a plane for New York. Iceman is taken to Larry Trask's Sentinel base in the Adirondack Mountains, where he is reunited with Alex and a captive Lorna. Trask has given Alex a suit which monitors his power, and Alex seems to be cooperating with Trask. 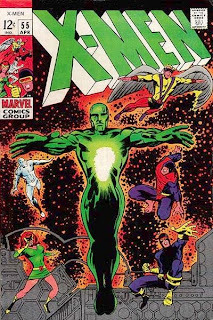 He assures Iceman this is simply in order to keep Lorna safe, but when a Sentinel comes to take her away, Alex sees that Trask can't be trusted, and blasts it. Trask activates the control device in Alex's costume, causing him repel cosmic rays instead of absorb them. In Egypt, the Pharaoh feels himself turning into the Living Monolith, but a Sentinel arrives and captures him. More thoughts on what I watched on TV last week. A quasi-sequel to last week's episode, according to the pre-show bumper, Jackson Publick and Doc Hammer started their respective episodes at the same time, and Hammer finished first, so Hank's episode aired first. 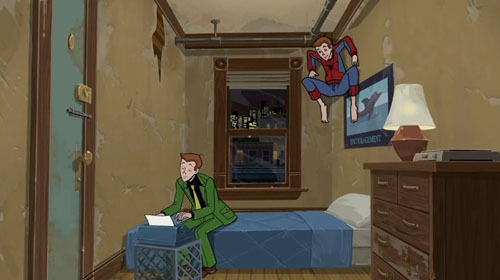 His episodes tend to be more emotional and concerned with fleshing out the characters (along with the funny) while Publick's are more pop culture-y and filled with rapid fire jokes, and that was true of this duology, as Hank's episode moved his character forward significantly while in this episode, Dean was largely just witness to a lot of crazy, funny stuff. An overworked and under-appreciated Marge snaps, leading her to take a vacation away from the family to relax. The title of this episode is a reference to the movie Home Alone, which featured actor Daniel Stern. Daniel's brother David wrote this episode. In Manhattan, Lorna Dane is abducted from her apartment by Sentinels. In Egypt, Iceman arrives with the authorities, who recognize the Pharaoh as noted archaeologist Professor Abdol. 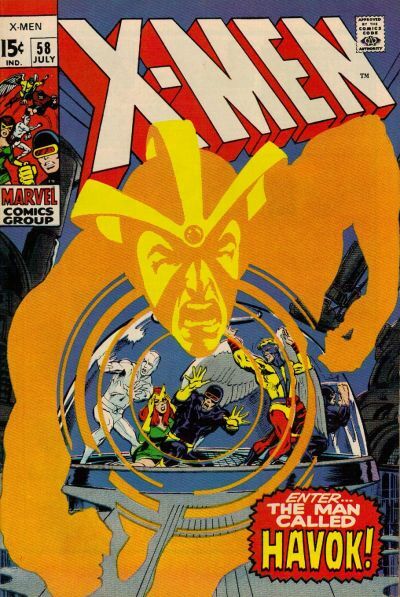 The Pharaoh claims Alex is a dangerous criminal while Cyclops tries to tell them the truth. When the authorities decide to arrest the X-Men, Alex, worried that he'll hurt someone with his overcharged powers, runs off into the desert, followed by the X-Men, who quickly dispatch the Egyptian police. Hiding inside a cave, Alex is captured by a Sentinel. Thinking of using Cerebro to try and find him, Cyclops attempts to contact Lorna to set it up for remote access, but finds only her empty, destroyed apartment. Worried about what happened to her, Iceman and Beast head back to America to investigate, leaving Cyclops, Angel and Marvel Girl to continue the search for Alex. Thoughts on what I watched on TV last week (sorry for the delay; blame it on computer problems...). Being a sucker for film noir (my senior thesis in college was about how to read "Do Androids Dream of Electric Sheep?" 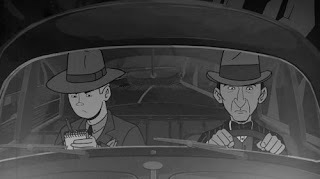 as a detective novel), this episode was squarely in my wheelhouse, and I loved it, especially Hank's noir-speak and the fact that whenever he removed his hat color returned. I was also surprised at how much I enjoyed the Alchemist, a character that's never done much for me before. It's a testament to the strength and breadth of Venture Bros.' supporting cast that they can still come up with new and intriguing pairings of characters that bring different elements of those characters to light. Labels: Glee, HIMYM, Last Week in TV, Modern Family, No Ordinary Family, Venture Bros. In which I cover things worth discussing but which don't merit their own posts. Mrs. Teebore and I started watching Parks and Rec midway through its second season, after we found ourselves thoroughly enjoying the first few minutes of every episode that we watched thanks to the DVR runover from Community. 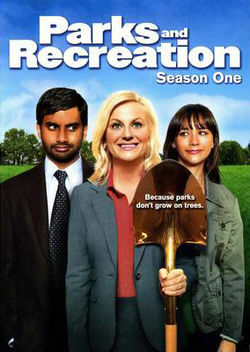 It's been said that the first season of the show was much rougher than the second, much less sure of itself and its portrayal of the main character, the hilariously earnest government employee Leslie Knope (Amy Poehler). 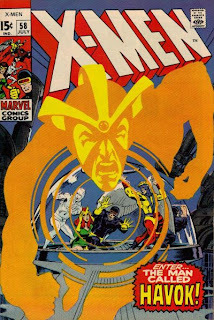 The Pharaoh transforms into the Living Monolith and battles the X-Men. 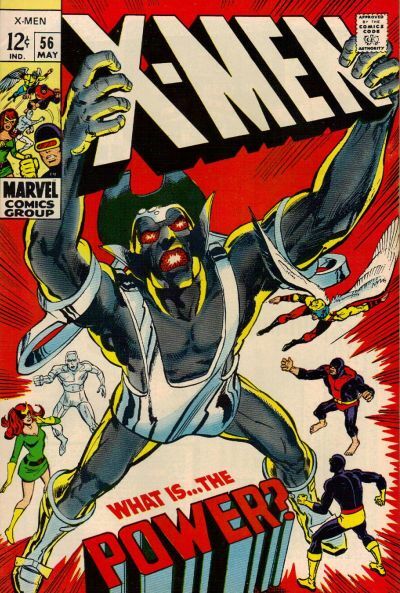 The X-Men, with a captive Living Pharaoh in tow, spot an archaeological dig and land, hoping to find local authorities to whom they can turn over the Pharaoh. Instead, they are attacked by the Pharaoh's cultists, and the Pharaoh is released, escaping with Alex. Angel follows the Pharaoh and his men back to their temple base, telepathically alerting Marvel Girl to his whereabouts. At the base, the Pharaoh explains that he and Alex both draw their power from cosmic rays, but that the more Alex uses his power the weaker the Pharaoh becomes. He locks Alex instead a sarcophagus designed to stop him from absorbing cosmic rays and kill him. 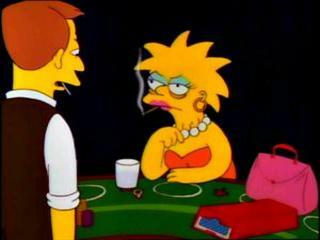 Lisa helps Homer gamble on football. 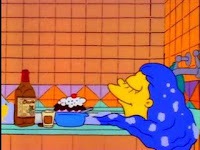 Upset that Homer never gets involved in her interests, Lisa is counseled by Marge to try getting involved in Homer's interests, after which Homer quickly discovers Lisa's gift for picking winning football teams. The X-Men follow the Living Pharaoh to Egypt and Alex discovers he's a mutant. In the tunnels beneath the Pharaoh's lair, Cyclops battles the villain while both the police and the X-Men search for him above ground. Telepathically sensing his thoughts, Marvel Girl and the X-Men close in on Cyclops but he's knocked out by the Pharaoh before they arrive and carried away, along with his brother Alex, by the Pharaoh's henchmen. The Pharaoh and his entourage board a chartered plane bound for Egypt. Cyclops awakens, his head covered in a hood to contain his power. With Cyclops conscious again, Marvel Girl telepathically senses him once more. 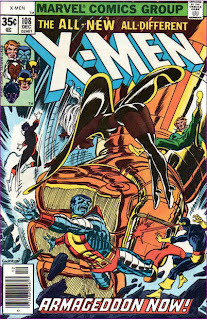 The X-Men attack the Pharaoh's plane in midair, but are defeated. Thoughts on some of what I watched on TV last week. Lisa's portion of the episode, in which she attends performing arts class and struggles with the role of art in society, was infinitely better than the story involving Homer and Bart witnessing Krusty's trial at the Hague (though I did enjoy the Dutch clown attacking Krusty for stealing his act). 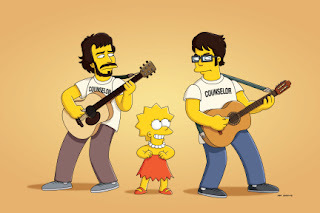 The much-hyped appearance of the three Glee kids amounted to little more than a weak parody of Good Vibrations, but Bret and Jemaine from Flight of the Conchords were great. ...will appear tomorrow (and be somewhat short) as I was on vacation most of last week and am still getting caught up. Or the One Where: Bart gets stuck down a well. 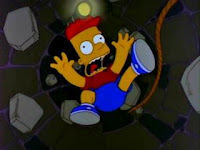 The Setup: Using a radio microphone he got for his birthday, Bart fools the town into thinking a boy is trapped down a well, but when Bart attempts to retrieve the radio, he falls into the well for real. 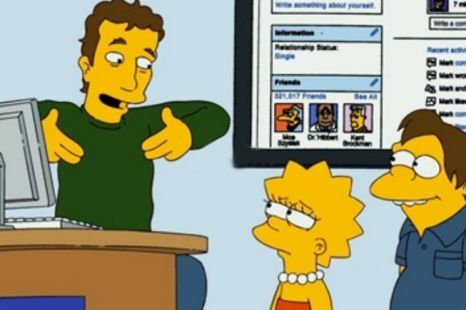 Bruce Springsteen was originally approached to guest star in the episode but he turned it down, so Sting appears instead.